The perfect team—hand-picked professionals who truly care about you, and want to ensure you have the best experience possible. Angela has been with Dr. McIntosh’s office for four years, and has been in the aesthetic industry for over five years. A Northwest native, Angela graduated from Western Washington University. As our Patient Care Coordinator, she takes pride in developing meaningful relationships with each and every one of our valued patients, forging a bond through education and support. Her favorite part about working here at Dr. McIntosh’s office is our patients. She strives to take special care of everyone who walks through our door, and as a part of our cohesive team, she takes pride in working together to change lives. Outside of work, Angela is a mother of three gorgeous children, and the co-owner of CrossFit Lake Stevens. In her free time, she enjoys water sports and staying active with her family. Heather brings over 15 years of management experience to Dr. McIntosh’s office, and has been with his practice since the very beginning. She has a very diverse educational background in numerous subject areas, with continued training in the treatments we offer—most recently in SculpSure body contouring. Heather is well versed in every aspect of the practice, both in terms of patient care and operations, offering expertise to every patient visit. 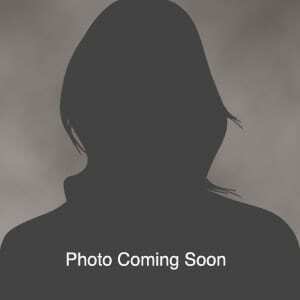 Her favorite part about working at Dr. McIntosh’s office is learning about the most cutting-edge treatments available. She enjoys educating our patients on various treatments and procedures, and then seeing them build confidence as they achieve their personal goals. Outside of work, Heather is a soccer mom, canine behavior specialist & trainer, as well as a breeder of champion Boxer dogs. In her spare time, Heather enjoys staying active by running and paddle boarding with her family. A Seattle native with over 10 years experience in the skincare industry, Susie has held a lifelong passion for aesthetics, and has always been drawn to do skincare. Having overcome her own skincare problems, Susie brings empathy and understanding to the care of her patients. 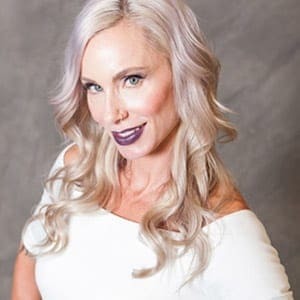 She is a Washington State Board Licensed Master Aesthetician as of 2006, and received her training from the Greenwood Academy where she graduated top of her class. She continues to constantly broaden her knowledge and experience by attending advanced aesthetics classes, conventions, and manufacturer trainings. Susie has earned certifications from Cynosure, Ultherapy, Syneron and Solta Lasers, Laser Hair Removal, Skin Rejuvenation, SkinMedica, ZO SkinHealth, Neocutis, and Eminence Organics Skin Care, as well as PCA and VI Peels. Dr Bryan McIntosh is the best. He is very good about explaining the procedures and honest about what you might need. He is not high pressured and does not try to talk you into something you don’t need. He is definitely a perfectionist in his field. The office staff are also kind and helpful.